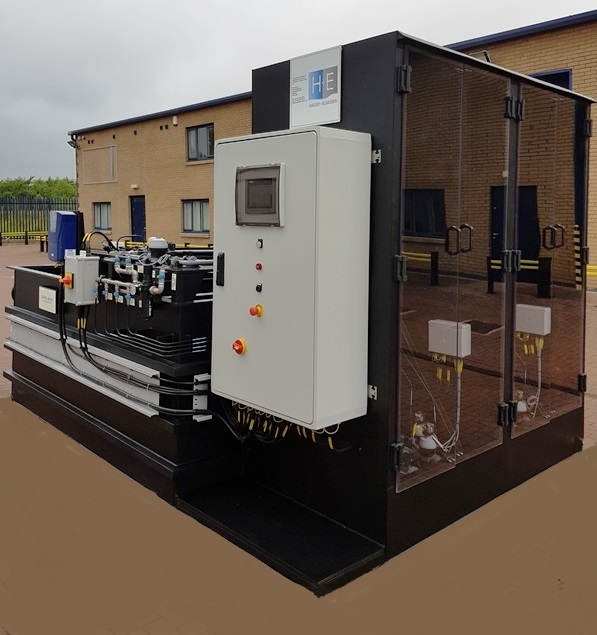 H+E has supplied a Wastewater Treatment Plant for a new highly efficient Waste-to-Energy Plant. This plant uses Refuse-Derived-Fuel (RDF) to produce electricity. At the same time it minimises overall CO2 emissions to atmosphere. H+E’s plant pre-assembled and tested the plant before delivery to site. This type of plant produces wastewater from a number of different sources. It is carefully treated so that it can be safely discharged to foul sewer. Even then, the discharge must be constantly monitored to ensure that its quality is within the prescribed limits. The wastewater can contain very variable concentrations of both suspended solids and chemicals. Two settlement stages operated in parallel remove solids accumulated from a number of sources. This gives the plant maximum flexibility and ensures that it is always available to treat the wastewater. Chemical treatment is required because the incoming wastewater quality varies significantly. H+E’s SecureChem™ system does this completely automatically. 1m3 Intermediate Bulk Containers (IBC’s) supply the chemicals directly to the treatment system. 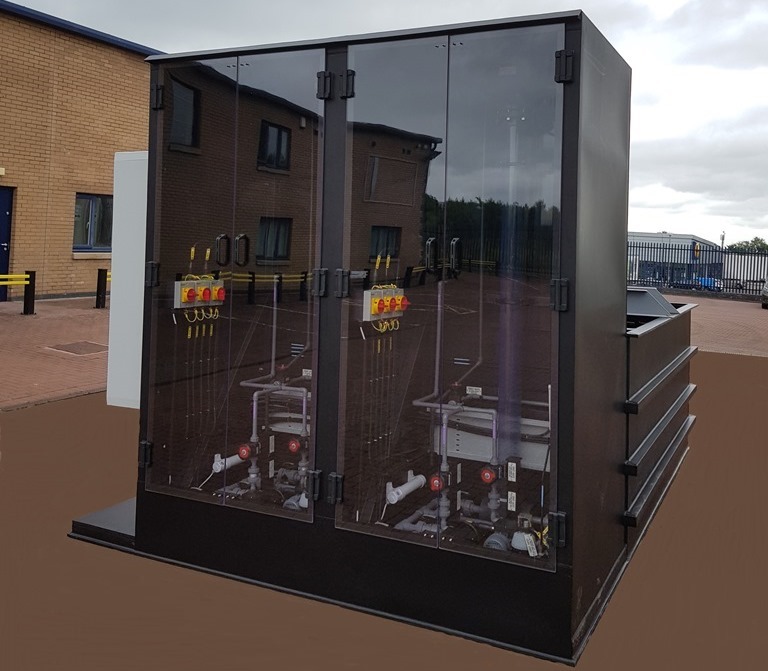 SecureChem™ connects two IBCs in duty / standby mode. SecureChem™ systems ensure that the chemical from each IBC is completely consumed. Only then does the system switch automatically to the standby IBC. Therefore, the only operator involvement is to change the empty IBC for a new, full one from time to time. This therefore avoids most of the risks associated with chemical handling. The plant monitors the treated wastewater’s pH, temperature and flow rate before discharging to foul sewer. Following completion of the design phase we both manufactured and pre-assembled the system in our factory. This enabled our client to also attend and witness the testing. It also enabled us to ensure that functioned as required immediately on start-up. Equipment installation was very quick following delivery to site. Each client can therefore benefit significantly from this! After completing installation we commissioned the system and trained the client’s staff . We also offer to provide long-term service and support for the lifetime of the plant as standard. Typically, lifetime will exceed 25 years for this type of plant.